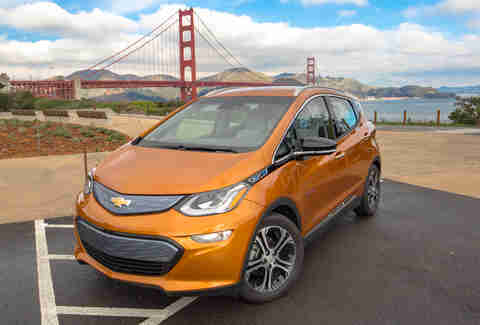 The 2017 Chevy Bolt EV is the first long-range, purely electric vehicle aimed squarely at a mass market. 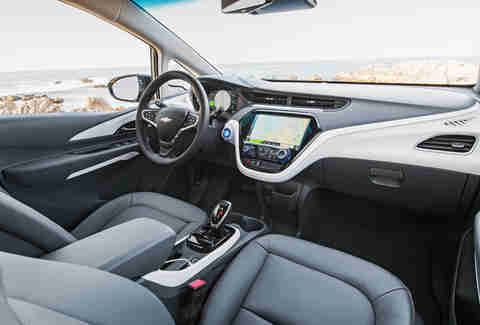 Its range (per Chevrolet, it can travel 238 miles on a single charge) and power (the equivalent of 200hp and 266ft-lbs of torque) far exceeds earlier EVs with similar prices (Nissan LEAF, BMW i3, Ford Focus Energi, et al. ), and in a very real sense, this is the first vehicle that the average person can buy, drive, and enjoy, without worrying about how far it can go between charges. Many potential buyers might be tempted to compare the Bolt, and especially its 6.5-second 0-60mph time, with Tesla, but it's a mistake to do so. With a starting price of $37,495 (which, at least for now, can be brought down to $29,995 with the $7,500 federal credit for EVs), the Bolt is far more affordable than anything Tesla currently produces. 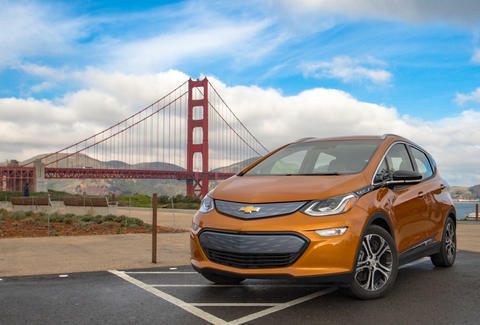 After taking a Bolt (Chevy refers to it by its full name, the Bolt EV) for a spirited jaunt up the Pacific Coast Highway, there's one conclusion that really jumps out: This is a legitimately engaging car to drive. The engineering behind it has serious pedigree, and although its spartan looks fall more in line with a traditional economy car, it's likely the most fun electric vehicle you can buy today for under $50,000. 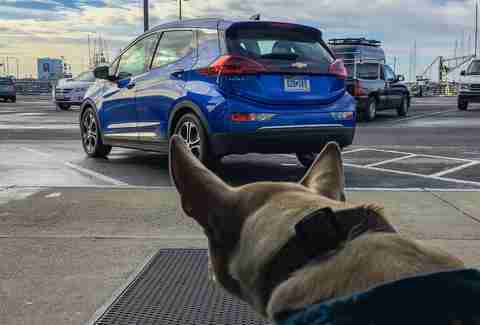 Chevy is very big on the idea that the Bolt's range means you'll never again have to worry about being stranded on your way home. By and large, that's a true statement: For most American commuters, going 238 miles between charges would mean only needing to plug it in once per week. If you buy an optional 240-volt charger for your house -- and Chevrolet is more than happy to work the sub-$700 unit into your lease or financing agreement -- you can simply plug in when you get home and have a full charge by morning. At roughly 30 seconds' worth of effort per week, it's conceivably easier and more convenient than going to a gas station. If you're on the road and you need to top off, the car will help you find a Fast Charge station, where you can get 90 miles of charge in 30 minutes. Is it a perfect solution? No, but nothing will be until there's a wireless fast-charging option for your garage. That, however, is not on the short- or even medium-term horizon for anyone. 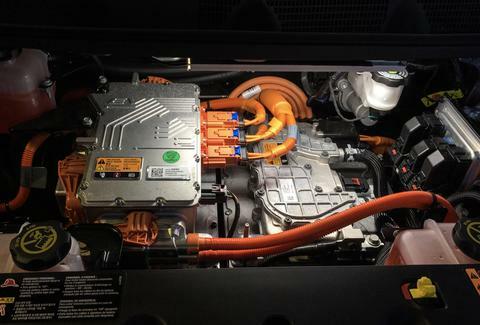 As the Bolt EV moved closer to production last fall, Chevrolet began touting the ability to drive it using just one pedal in what it calls "Low" mode -- let off the accelerator, and an energy recovery system converts the forward momentum into electricity to recharge the battery. The effect is so akin to braking that the brake lights are activated. In and of itself, this isn't a big deal -- the Chevy Volt can do something similar, as can most electric vehicles. Like the BMW i3, the so-called regenerative braking will bring the car to a complete stop. If you don't like the one-pedal option (you will, though), the regular "Drive" mode feels very much like a normal driving experience. 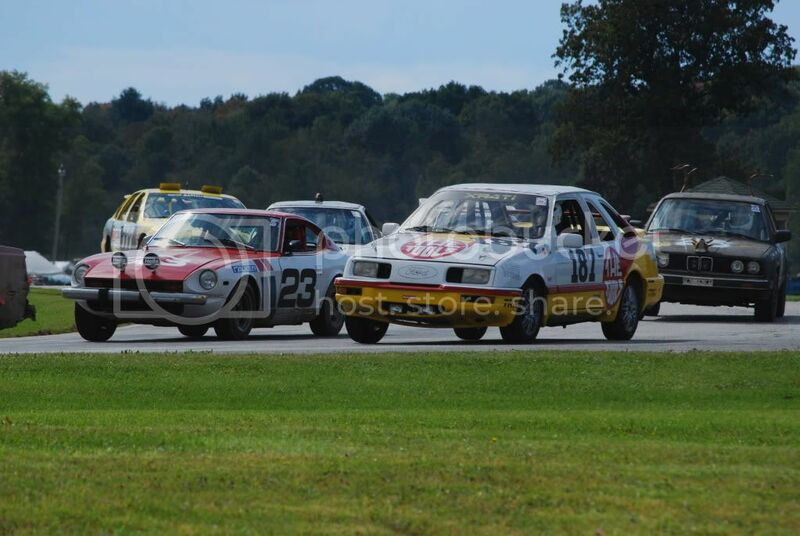 One of the most universal and underrated truths about the automotive industry is that the best products are developed using knowledge gleaned from motorsport. You might think that the Bolt EV is meant to be a docile, mostly forgettable, environmentally friendly vehicle, but you'd be sorely mistaken on the first two points. The chief engineer is a racer at heart, and he spends his spare time fine-tuning the suspension on both of his own race cars. This personal passion permeates to the road, where the Bolt is a surprisingly agile car, and one that retains a supple ride, absorbing bumps and maintaining a composure that would make most BMWs blush. Letting off the accelerator and transitioning to braking (without the pedal) as you approach a corner doesn't upset the balance of the car. There's no jerkiness, and the deceleration is perfectly fine for most driving situations. Should you need a little more braking power before resorting to the pedal, there's a paddle on the steering wheel that bumps it up a notch; think of it almost like a brake lever on a bike. Rolling back onto the accelerator is just as smooth, and with the way the car soaks up imperfections in the road, the end result is a car that's surprisingly great for a spirited backroads drive. There's an added bonus that Chevy hasn't yet harped on, but it likely will soon enough. Because electric motors are capable of adjusting output virtually instantaneously, the Bolt uses its motor's acceleration and deceleration as an ultra-smooth, de facto traction control and antilock brake system. If you suddenly hit a patch of black ice and (wrongly) let off the pedal completely, you're not going to suddenly lock up the tires and go sliding off into the wilderness. Instead, the car will calculate exactly how much the wheels should be slipping and simply make it so. Chevrolet spent quite a lot of time trying to maximize the cabin space in relation to the size of the vehicle. On that note, its engineers succeeded, and with no traditional drivetrain to worry about, there's even more space for your feet under the dash. The Bolt doesn't offer a sunroof however, and for a car that Chevrolet is so strongly promoting as a lifestyle and adventuring vehicle, the lack of an open-air option seems odd. As for in-car technology, a 10in touchscreen serves as the focal point of the dashboard and gives plenty of information regarding charge status and driving style, plus menu options let you customize overnight charging times to maximize efficiency. The Bolt comes with both Apple CarPlay and Android Auto, which can be combined with a seven-speaker Bose system to optimize sound quality. The LCD instrument cluster is customizable and shows you exactly how much energy you're either using or recuperating in real time, in addition to giving you a high- and low-range estimate for how much juice you've got left. The rest of the interior is clean, with no uncouth stylistic elements spoiling the aesthetic. In terms of fit and finish, the Bolt exhibits reasonable quality for its class. Looking forward, though, interior fit and finish is an area where we (and others) have been hyper-skeptical of Tesla when it comes to the future Model 3. 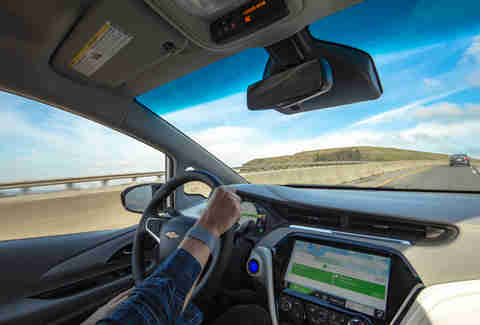 Chevy had an opportunity to define the gold standard for mass-market, long-range EVs if it hit the interior's fit and finish out of the proverbial park. Instead, it settles for average here. Chevy is trying to make a big deal of the Bolt's range and truly wants you to think of it as a lifestyle enabler -- the kind of vehicle in which you can take your surfboard to the beach on a whim, etc. That misses the point and undersells the car, though. This is the first relatively inexpensive electric vehicle that you can legitimately use just like any other car you've ever owned. And that's a much bigger deal than a surfboard. Aaron Miller is the Cars editor for Thrillist, and can be found on Instagram and Facebook. He'd be interested to see a series where Bolts compete on a racetrack, using only Low mode and the regen paddle for braking.